Thomas Cook has unveiled its turn-of-year ad campaign featuring one spot designed to showcase what differentiates the travel company and another targeted specifically at families. This year’s campaign, which launches tomorrow, also marks the return of the iconic "Don’t just book it, Thomas Cook it" strapline in the UK. "It's a line we haven't used since 2013, but we're bringing it back. When we tested some lines with customers, asking which ones spoke to our brand goals, they chose 'Don't book it, Thomas Cook it' as the one that really signposted us as one of the most loved and strongest travel plans," Chris Chalmers, marketing director at Thomas Cook UK, said. The two spots, created by KBS Albion, are "The man" and "The chase". They were directed by Christian McKenzie and Patrick Chen of Park Pictures. 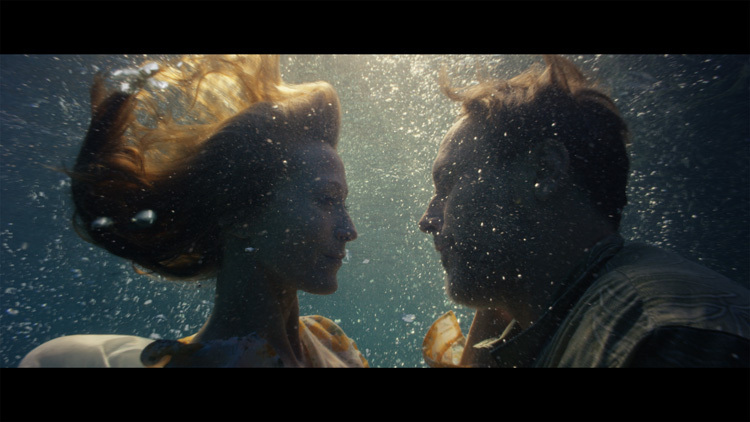 KBS Albion's executive creative director, Adam Lawrenson and creative director Dominic Martin led the campaign creatively and media is handled by Carat and iProspect. "The man", which is aimed at families is set to the macho beat of I Am The Cool by Screamin’ Jay Hawkins. Set in a Sunwing Kalithea Beach Family Resort, captures how a holiday lets children grow and create memories for parents that will never be forgotten. 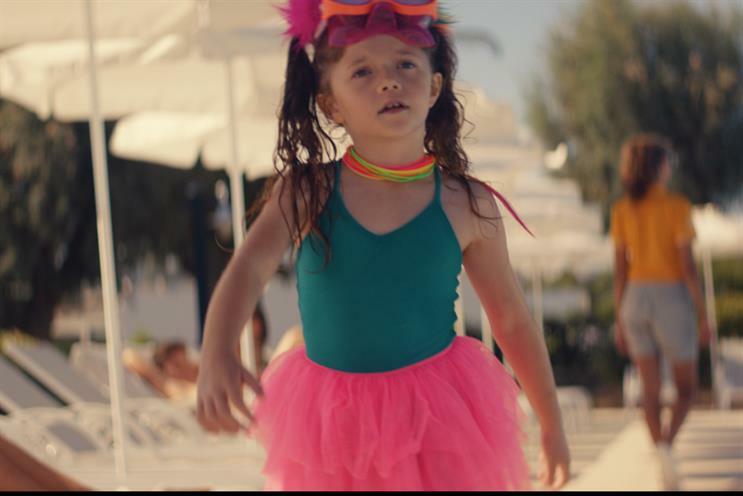 The ad, which shows a young girl enjoying herself around a pool, is meant to encapsulate the confidence and swagger that a holiday can give to children. The spot closes with the line "Because, the more we do our thing, the more you can do yours". "This ad is really an evolution from the dancing shark boy. The attitude, vibrancy, cheek and narrative really drives him, the promise of 'The more we do our thing, the more the customer can do theirs'. The lead character, Abigail, is really designed to draw that out," Chalmers said. "The Chase", on the other hand, was set at the adult-only Sunprime Miramare. It uses the timeless game of Kiss Chase to tell the story of how a holiday allows you to fall in love all over again. Composed by Jim Copperthwaite, the ad is set to The Dancers from his newly released Ballroom Ghosts album. "We deliberately pulled the ads in different directions, emotionally. 'The chase' is all about emotive storytelling around the brand. It's more about the feeling it creates than showcasing an actual product. That we care and offer real quality," Chalmers explained. Taking interactivity a step further, Thomas Cook partnered with Shazam to tell a longer story to its 21 million UK users. 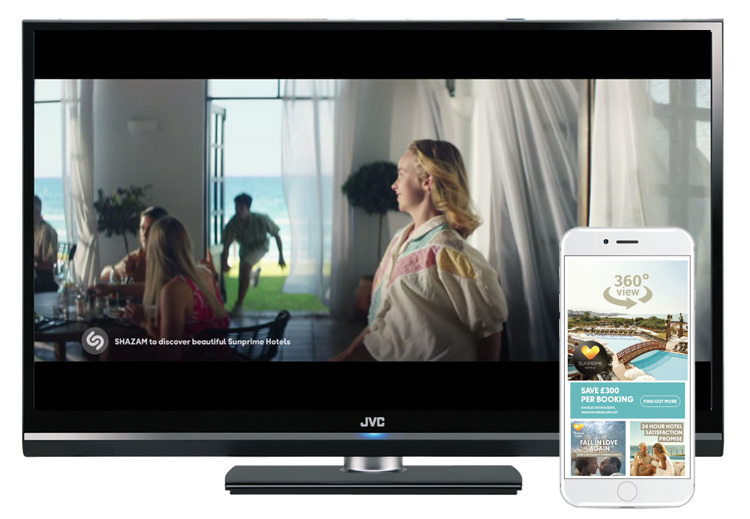 When the ad is Shazam'ed, it brings users on a 360° tour of either the Sunprime Hotel (for "The chase"), or Sunwing Family Resorts ("The man"). "This campaign is probably one of our highest investments in digital and social interaction," Chalmers said. The new campaign will run across multiple channels in the UK, including TV, social, digital and in store throughout next year. "The man" will launch on thomascook.com tomorrow (Saturday) before airing on TV during the ad break of the Secret Life of Five Year Olds on Holiday, which Thomas Cook partnered with Channel 4 to make, on 28 December. The Chase will debut during the ad break of Coronation Street on Christmas Day. The campaign will run across 15 markets in total.